Your success in Commercial Real Estate (CRE) improves dramatically when you are well prepared for the uncertainties that lie ahead. Just as you would plan thoroughly for a months long journey across the high seas, you should properly prepare yourself for your upcoming challenges in commercial real estate. Even though you will experience smooth sailing during portions of your journey, as a business leader, you know all too well that the least expected happens at the most unexpected times. It is during these times of peril that you will rely on the tools and team you brought on your ship. 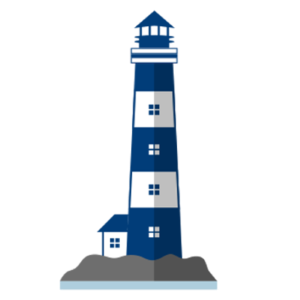 We invite you to start your journey with the best checklists and guides from Lighthouse. Our office relocation guides will provide you with the tools you need to properly prepare for your office move. These guides include checklists, lease review templates and growth planning estimators. Gather all of your important information in one place and have everything you need to make outstanding decisions with your office space move. Whether you need to lease retail space for your business or you are looking to purchase a retail location on which to thrive, we have the guides for you. Carefully detail all of your requirements on our handy forms so you can know for sure that all of your needs are accounted for. Whether you need a certain number of parking spaces, clear heights within, traffic counts passing by or any of the other criteria we help you detail out, our guides will ensure that you and your broker on on the exact same page when it comes to perfect acquisition targets. Make sure you have a thorough list of all of your space and property requirements accounted for with our industrial acquisition guides. Make sure you and your broker know exactly what you are looking for. Specify your eve heights, number of dock and drive in doors, access to rail and highways, power requirements, refrigeration requirements and all of the other important specs needed for your perfect space. Our industrial acquisition guides will keep you organized for both lease and purchase scenarios. Is there something else you need? Ask us anything related to commercial real estate and we'll help you track down the answers you seek. If we receive common questions or we pick up on certain themes, we'll create additional guides for those scenarios. You can always ask us your commercial real estate questions and we'll either get you the answer you need or connect you with the person who can. What is your Biggest Challenge in Commercial Real Estate Right Now? What is the biggest challenge you are facing in commercial real estate right now? Thanks for submitting your response! Copyright 2019 Lighthouse Commercial Real Estate, LLC. All Rights Reserved. Commercial Real Estate Challenges with Confidence!